Unfortunately we’ve cancelled the permablitz we had planned for tomorrow (Wed 30 Jan) due to the bad weather that has been forecast. 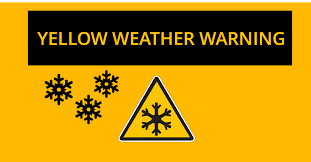 The Met Office has issued a yellow weather warning for snow predicted from 9pm tonight to 12pm on Wednesday 30 January 2019 across the south east. We’ll be rescheduling this gardening work party for a date in February before our Sat 23 Feb permablitz comes round. Keep an eye on our Events calendar or Facebook or Twitter for more information. Alternatively, sign up to our mailing list and we’ll send you regular emails about what’s going on with our project and our friends’ in and around Milton Keynes.